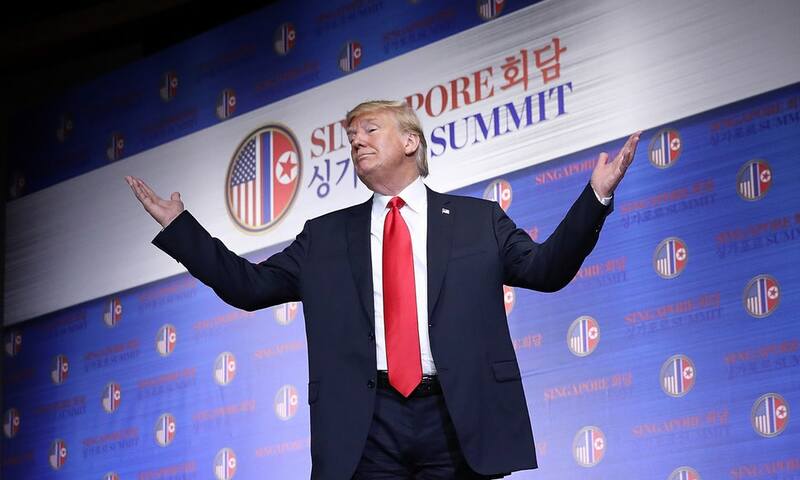 It was part of an overall pitch that reaching a deal between the US and North Korea would help North Korea advance technologically and economically — including, Trump suggested, some real estate development. The “tape,” actually a video that Trump showed Kim on an iPad, was presented in both English and Korean to journalists before Trump’s press conference. The clip shows a potential bright future for North Korea with a variety of images, ranging from children playing in bumper cars to people dancing to speedboats, skyscrapers, and horses running along a beach. Kim seemed to like the video too, saying through a translator that many people would see it as a scene from a “science fiction movie,” according to the New York Daily News.